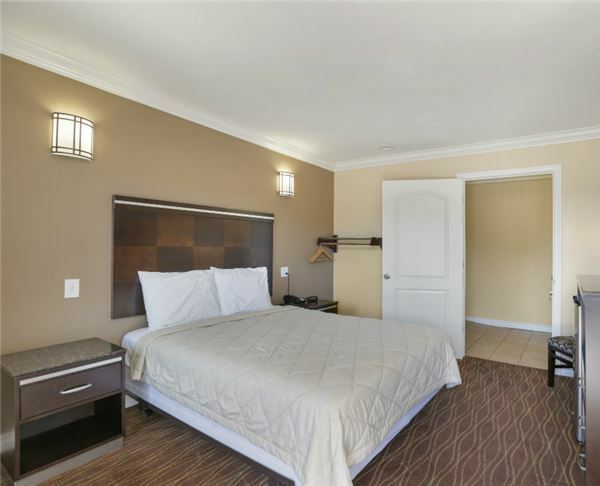 This newly renovated non-smoking room features a brand new King sized mattress and in-room whirlpool tub for relaxation. The room is also equipped with a large LCD TV and complimentary Wi-Fi to connect all your devices. 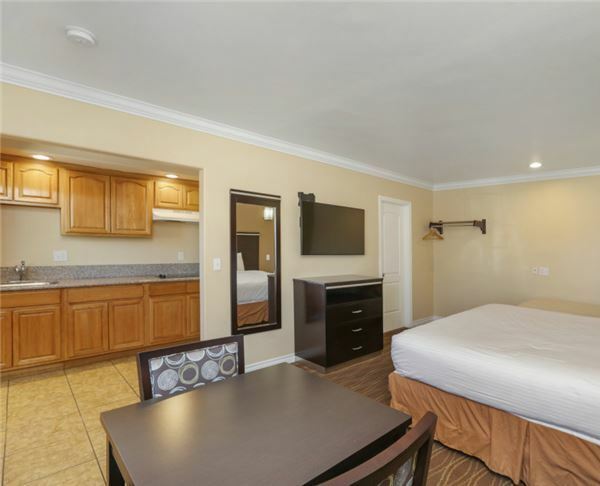 This newly renovated non-smoking room features two brand new Double sized mattresses, large LCD TV, microwave, and mini fridge. The room is also equipped with complimentary Wi-Fi to connect all your devices. 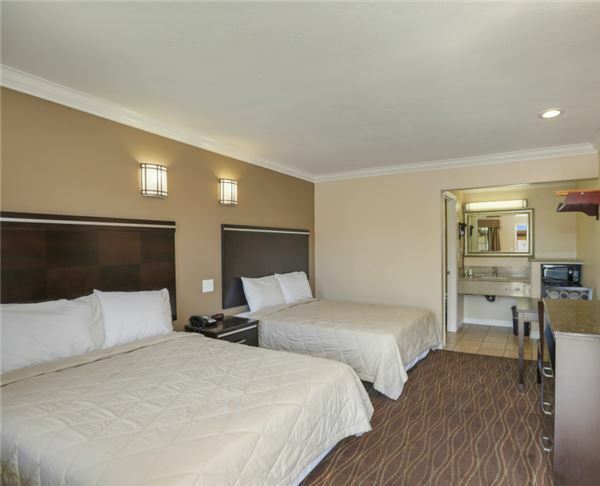 This standard non-smoking room features a Double sized mattress, large LCD TV, microwave, and mini fridge. The room is also equipped with complimentary Wi-Fi to connect all your devices. 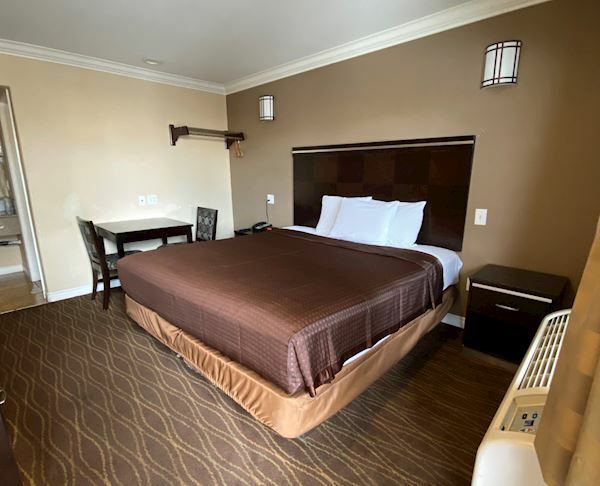 This newly renovated non-smoking room features a brand new King sized mattress, large LCD TV, microwave, and mini fridge. The room is also equipped with complimentary Wi-Fi to connect all your devices. This non-smoking room features a comfortable queen-sized beds with a roll-in shower. Room is located on the ground floor. 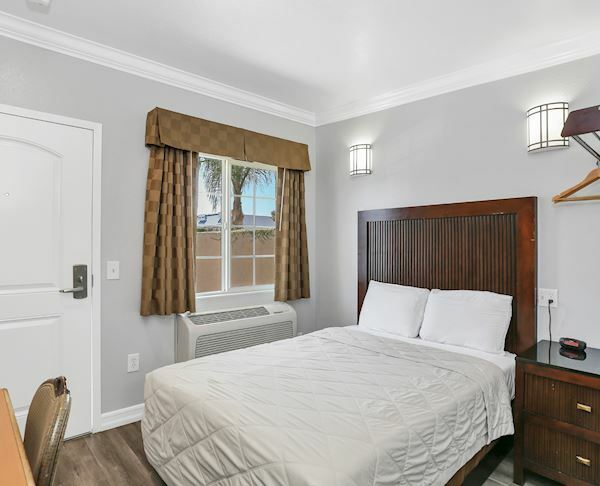 This newly renovated non-smoking room features a brand new King sized mattress and kitchenette including sink, stove, microwave, and mini fridge. The room is also equipped with a large LCD TV and complimentary Wi-Fi to connect all your devices.